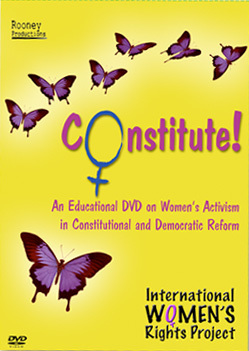 E-book published by IWRP of papers delivered at a conference reviewing 16 years after Putting Women on the Agenda. Pilot study in ten countries on use of CEDAW by women’s organizations. Text in Russian and English of conference papers, only available in hard copy, not electronically. Early reference guide to using the internet for feminist research and advocacy. A review of the CEDAW Impact Study process. How to use impact test case litigation, the LEAF model, for women’s equality rights in Canada. A review of how information and communication technologies are being used for human rights work in Southern Africa, Open Society Institute.